Your company's onboarding process is going to determine how successful your new hires will be. Even the most skilled and experienced candidates you hire are going to need to learn about company processes and protocols and will need to understand the business goals your organization has. 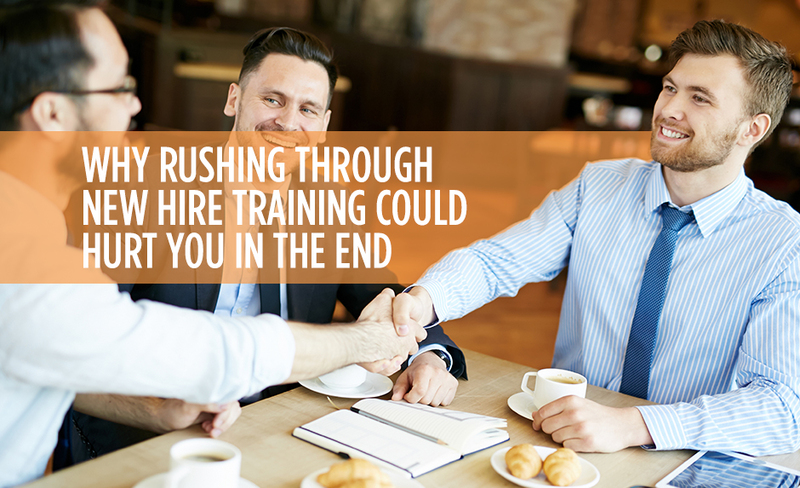 Unfortunately, many companies rush through new-hire training because they want to get their new staff members working right away. When you don't provide the information people need to complete the day-to-day tasks of their job, they'll be forced to learn as they go. This will make getting the work done take longer- especially if the employee adopts a less efficient process than you would prefer. When employees don't have a clear idea of exactly what is expected of them, this can cause them to make mistakes, which then take time to correct. If your staff members don't do things properly because they were not trained on how to complete tasks, employee work product could suffer. This could directly impact your business. Depending upon what department the employee is in, there could be customer service blunders, incorrect information provided to clients, mistakes in work product sent out to customers, inventory issues and a host of other serious problems that hurt your brand. It's much faster and easier to teach an employee the key things they need to know during one or two big training programs. If you don't do this, confused employees may constantly have to ask for help with every task. They won't necessarily know who to ask and they'll be interrupting the work efforts of those who end up providing help. This hurts the productivity of everyone working for you. Employees who don't understand what is expected of them and who don't feel supported are much less likely to enjoy their jobs and are much likely to look for other opportunities to pursue. Your company should hire great people and invest in training them properly so they can be an asset to your organization. Eastridge Workforce Solutions can help you hire staff members who are worth taking the time to train. Give our staffing service a call today to find your next great candidate!